We appreciate your trust and take the utmost care, applying the highest security standards, to protect your personal information from unauthorised access. Our privacy provisions are in compliance with the German Federal Privacy Act (BDSG) and Telemedia Act (TMG). At various places on our websites we collect and process personal data such as name, address, email address. In the following, we would like to give you as detailed an overview as possible of what we do with your data. Personal data is only collected on this site to the extent necessary to process the respective offer. If further information is collected, it is marked as optional. Under no circumstances will the data collected be sold or otherwise marketed. We collect personal data during our online application process, during registration for the Tchibo blog, as part of the franchise concept, and in connection with contact and service requests. No personal data is stored. None of this data is combined with other data sources. Your IP address is deleted shortly after your visit to our site. When we process your data, your legitimate interests are always considered in accordance with statutory provisions.Therefore, your data is only used for the purpose for which it was collected and not for any promotional use. The careers portal is centrally operated by Tchibo GmbH for all German subsidiaries and maxingvest ag, the parent company of the sub-groups Tchibo GmbH and Beiersdorf AG. We assure you that your data is used exclusively for the application process and the applicant portal, and will not be used for any other purpose. As part of the application process, it regularly becomes necessary to forward your data within the Tchibo Group to the relevant department or subsidiary or maxingvest ag. Our Tchibo blog gives you the option to register with your email address and a username of your choice so that you can comment on blog posts. We store your email address to manage your user account and to inform you about new blog content on request. In addition, you have the option to specify a personal website, which allows you to link details about yourself, your interests or your personal life with your username. In doing this, and writing your comments please observe our blog rules and advice about the content of external websites. As part of the franchise partner concept, your data will only be used for the registration procedure or application portal and not for any other purpose. As part of the application process, we may forward your data within the Tchibo Group to another department or subsidiaries as needed, to possibly consider alternative uses. Due to legal requirements it may be necessary to collect special personal information about your health. We assure you that this data will be processed solely for that purpose and under conditions of the strictest confidentiality. 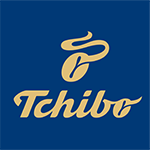 The contact form is intended as a simple way to contact us for all questions about Tchibo. Your details here are essentially voluntary. In order to answer your request, it may be necessary to forward them to our subsidiaries or maxingvest ag together with your personal data. In principle, we do not share your information with companies outside the Tchibo Group. Service providers only have access to this data as part of looking after and maintaining our systems. They have been carefully selected by us and are required to treat your data confidentially in accordance with statutory provisions as they perform the contracted data processing work, and also to comply with our own privacy standards. For data transfers during the application process, we offer SSL (Secure Socket Layer) security in conjunction with 256-bit encryption. This technique offers the highest security and is used by banks, for example, in online banking. You will recognise the encrypted data transfer by the representation of a key or “closed” lock symbol in the bottom status bar of your browser. The connection is encrypted using high-grade (AES-256 256 bit) encryption, and the key exchange uses RSA 1024 bit. On tchibo.com we use ‘session cookies’ in several places. They are automatically deleted after your visit, and serve to make our site more user-friendly, effective and secure. Our cookies are protected from being read by third parties using your browser’s security standards. Cookies do not harm your computer and contain no viruses. To make our Tchibo blog more attractive and user-friendly, we use ‘social plug-in’ functions for the Facebook, Twitter and Google+ networks. ‘Social plug-ins’ are technologies that allow users to publish certain content for members of social networks through a direct link. To protect your privacy, on our websites we offer these social plug-ins as a ‘2-click button’. At the same time, to integrate the social plug-ins we use a technical solution which prevents data (for example, IP address) from being transferred to social networks like Facebook as soon as you open our website. This means that the buttons for Facebook (operated by Fa. Facebook Inc., 1601 S. California Ave, Palo Alto, CA 94304, USA), Twitter (Twitter, Inc., 795 Folsom St., Suite 600, San Francisco, CA 94107, USA) and Google (Google Inc., 1600 Amphitheatre Parkway, Mountain View, CA 94043, USA) are disabled by default. They are only activated when a social plug-in is first clicked on. The content of the plug-ins is transferred by Facebook, Twitter and Google to your browser, which integrates it into our website. Tchibo has no influence on the amount of data that Facebook collects with the help of this plug-in. Nevertheless, we want to inform you about it to the best of our ability. You can also find more details on the Facebook pages. When the plug-in is activated, Facebook receives the information that a user has accessed the given page of the offer. If the user is logged onto Facebook, Facebook can associate the visit to the user’s Facebook account. When users interact with the plug-ins, e.g. by pressing the Like button or commenting, the corresponding information is directly sent from your browser to Facebook and stored there. If a user is not a member of Facebook, there is nevertheless the possibility that Facebook will identify and store the IP address. If you are a Facebook member and do not want Facebook to collect data about you via this offering and link it to its stored member data on Facebook, you must log out before you visit the website and prior to activating the social plug-ins on Facebook. You can also block Facebook social plug-ins with various add-ons for your browser. You can recognise the Twitter buttons by terms such as ‘Twitter’ or ‘follow’, in connection with a stylised blue bird. Using these buttons, it is possible to share a post or page from this offering on Twitter or follow Tchibo on Twitter. When a user visits a web page of this website and the Twitter button is enabled, the browser will connect directly to the Twitter servers. The content of the Twitter buttons is transmitted from Twitter directly to the user's browser. The user’s IP address and the URL of the respective site is transmitted when you get the button, but for no other purposes than the representation of the button. For more information, please see Twitter’s privacy statement at http://twitter.com/privacy. You can recognise the button by the ‘+1’ on a white or coloured background. When a user visits a web page of this website and the Google ‘+1’ button is enabled, the browser will connect directly to the Google servers. The content of the ‘+1’ button is transmitted from Google directly to the user's browser, which integrates it into the website. According to Google, no personal data is collected if the button is not clicked on. Only with logged-on members will such data, including the IP address, be collected and processed. More information about the purpose and scope of the data acquisition and information about the way in which the data is processed and used by Google, as well as your rights in this respect and settings options, for protecting your privacy can be found in Google's privacy statement about the ‘+1’ button: http://www.google.com/intl/de/+/policy/+1button.html. Tchibo does not transfer any personal information you enter on this website, or that we store about you, to Facebook, Twitter, or Google. Your trust is important to us. Therefore, we will gladly answer your questions regarding the processing of your personal data. You have the right to receive information, at all times, about your personal data stored with us, its source and recipients, and the reason it is stored. If you would like to receive information about your data that is stored with us, please use our contact form or send an email to our Privacy Officer at service@tchibo.de. For the blog, first write to our editors at redaction.blog@tchibo.de. Upon request we are obliged to correct, block or delete the data stored about you unless other laws (e.g. statutory retention requirements) prohibit this.